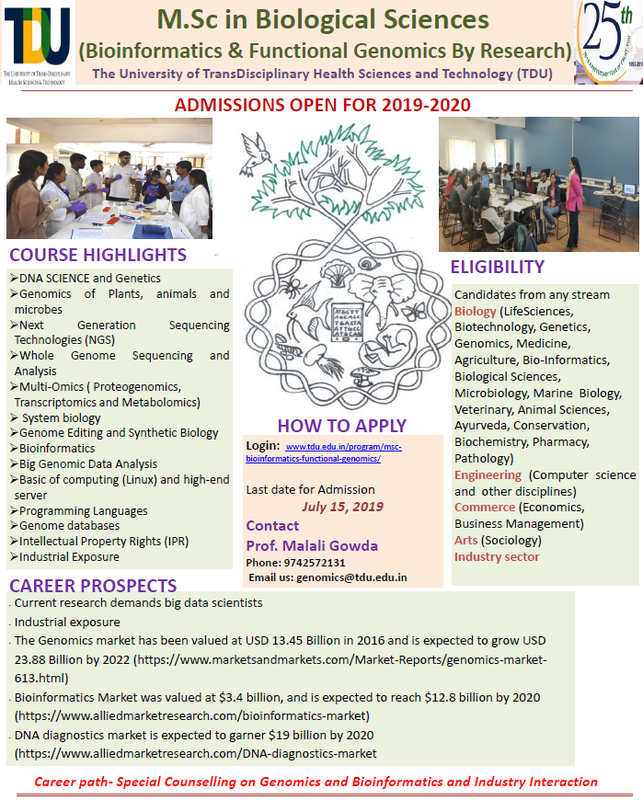 The Genomics market has been valued at USD 13.45 Billion in 2016 and is expected to grow USD 23.88 Billion by 2022 (https://www.marketsandmarkets.com/Market-Reports/genomics-market-613.html). Download the application form below. Fill up the application form and send it to the address mentioned below along with Rs 500 /- DD.